shopDisney has a massive selection of Disney, Pixar, Star Wars, Marvel, and Disney Parks merchandise and new items are added every day. We’ve collected a few of the hottest items that just arrived at the shopDisney store and these 5 tops featuring Mickey Mouse offer a variety of styles, from t-shirts to holiday sweaters. Get in on the “ugly” holiday sweater trend with the Mickey Mouse version ($54.99). The allover knitted holiday design features Mickey steering his sled with the help of a reindeer. 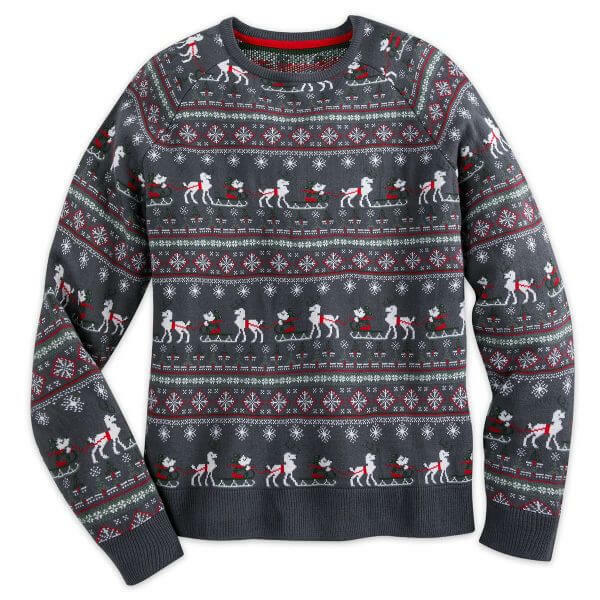 Let this fun seasonal sweater add a dash of “ugly” holiday style to your wardrobe. Mickey stands out on this Raglan T-Shirt ($34.99). 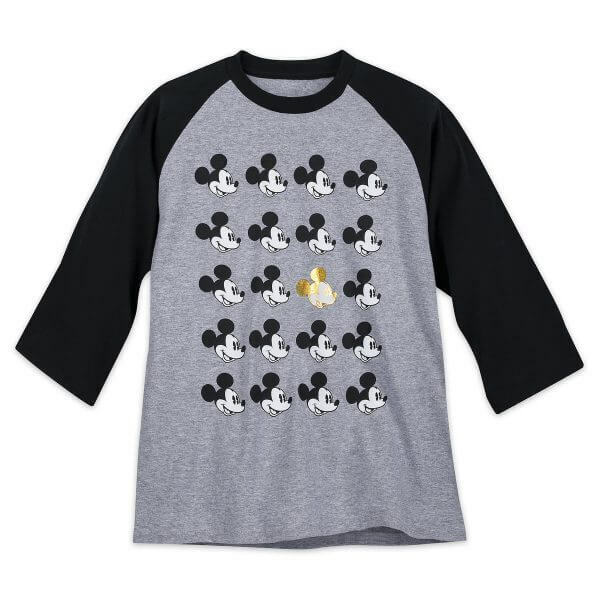 Mickey Mouse face screen art adorns this heathered cotton jersey tee with one gold foil Mickey among the crowd. 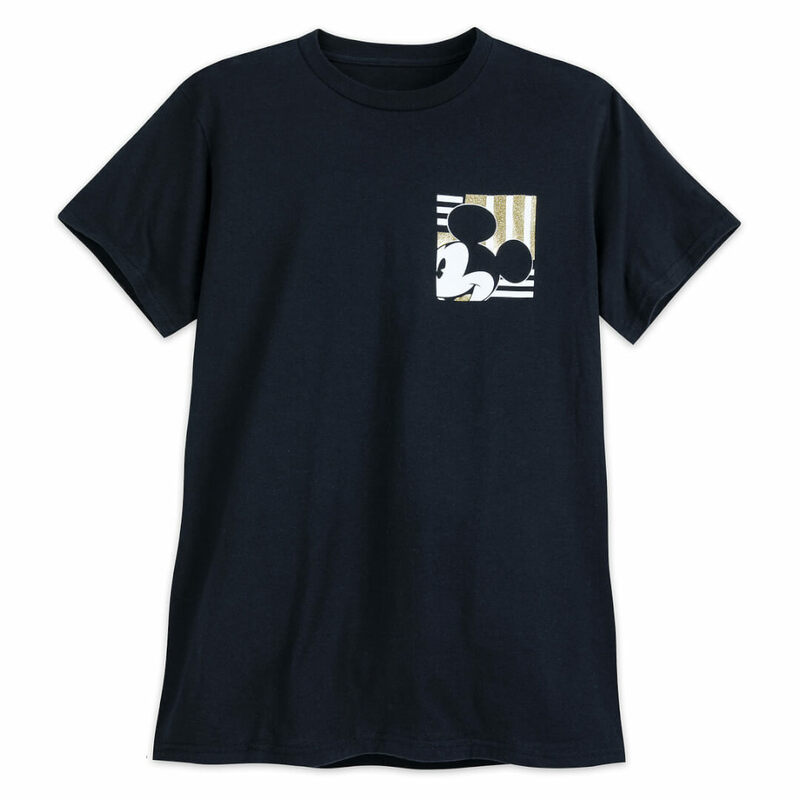 Part of the Millennial Mickey Collection, this t-shirt offers modern style on a vintage-soft shirt. Show off your love of Mickey on both the front and back of this Groove T-Shirt ($29.99). The front features Mickey’s profile on a gold foil patch, while the back has Mickey striking a signature pose on swirling graphic art. This fashion-forward tee helps you get into a stylish Disney groove. Celebrate both Mickey Mouse and Walt Disney World on this Performance T-Shirt ($24.99). 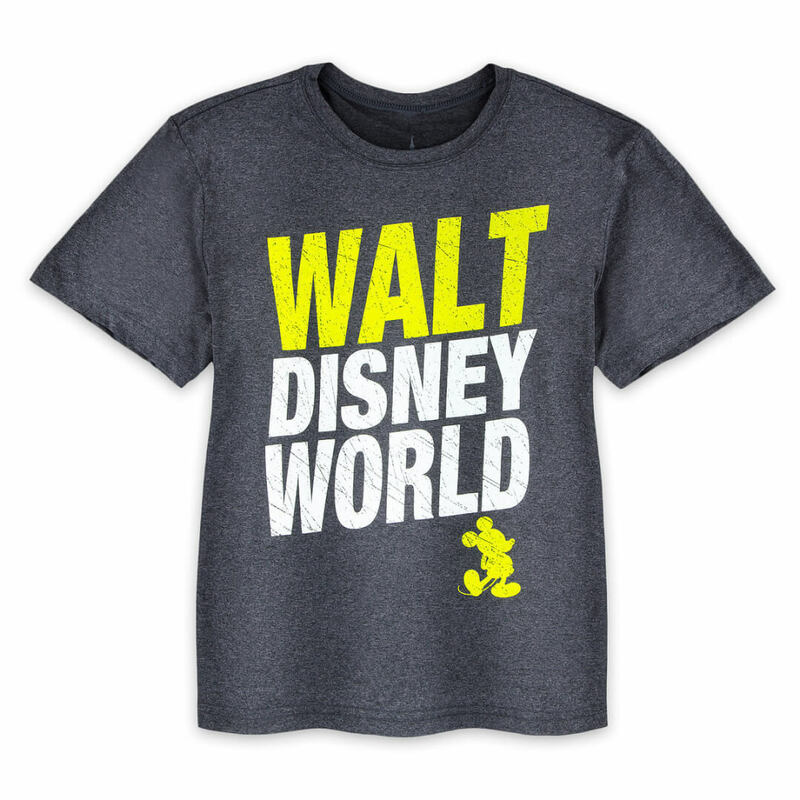 Walt Disney World lettering and Mickey’s silhouette adorn the dark gray fabric. The stretchy tee has a pebbled effect, giving it a worn-in, vintage look. Your little one can feel like part of the Disneyland Crew with this vintage-inspired T-Shirt ($24.99). 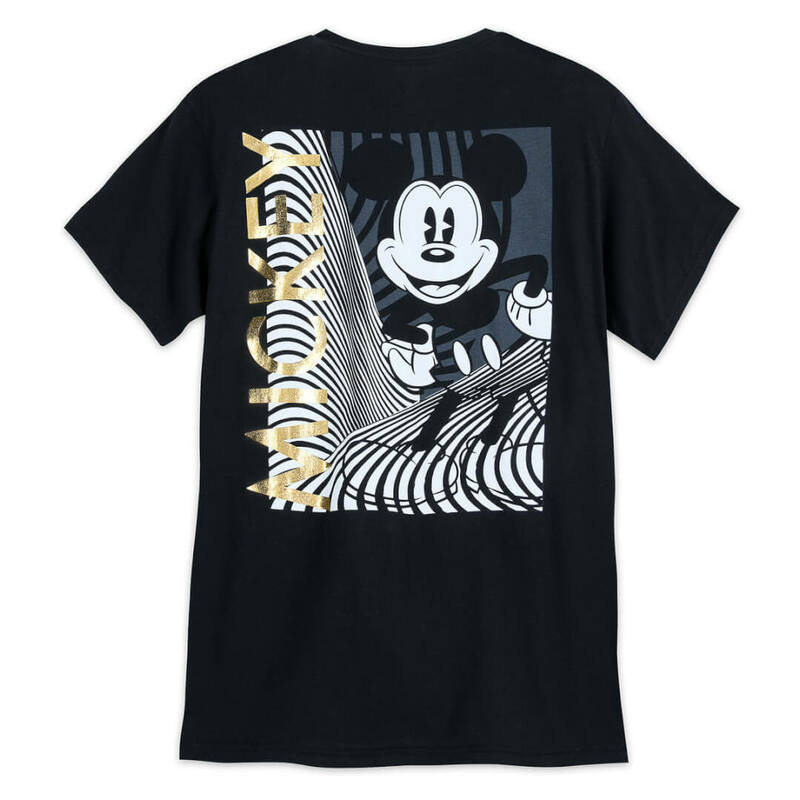 The tee features distressed Mickey Mouse and 55 screen art, giving a nod to the year Disneyland opened. 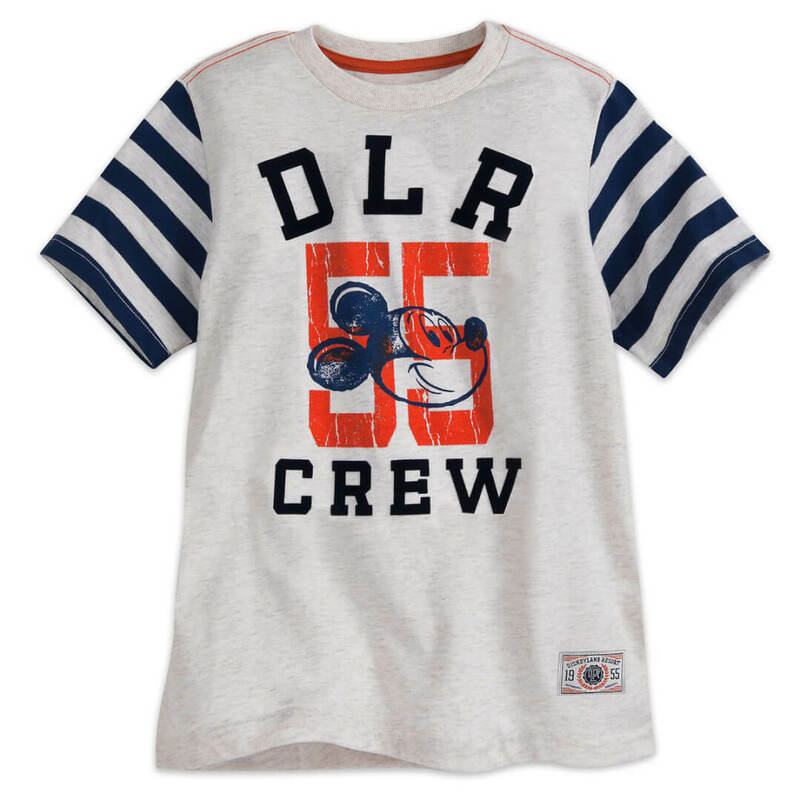 It also includes flocked “DLR CREW” lettering and contrasting striped sleeves.